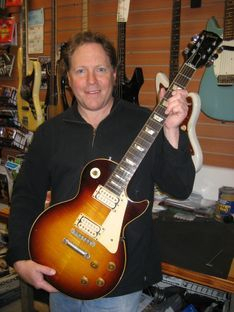 GuitarFixer Bob is noted luthier Bob Pieper's latest venture. 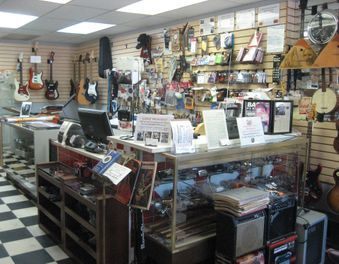 The shop is filled with an eclectic collection of new and vintage guitars and parts - plus a few other instruments and items to keep things interesting! The store is located under the marquee of The Strand theater in downtown Seymour - across from the train station and right off Route 8. Bob is best known for his repair services - basic set-ups to re-frets, broken headstocks, electronics and everything in between! 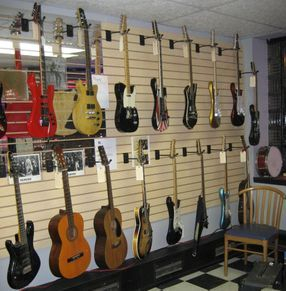 All work is done on the premises by Bob; he has more than 30 years experience and has yet to meet a guitar he can't fix. Bob is accepting consignments and his services include appraisals as well as quick assessments of your online purchases - to make sure you got what you paid for! The store also has a selection of original movie posters in several sizes for sale. You never know what you'll find on the walls or in the cases! 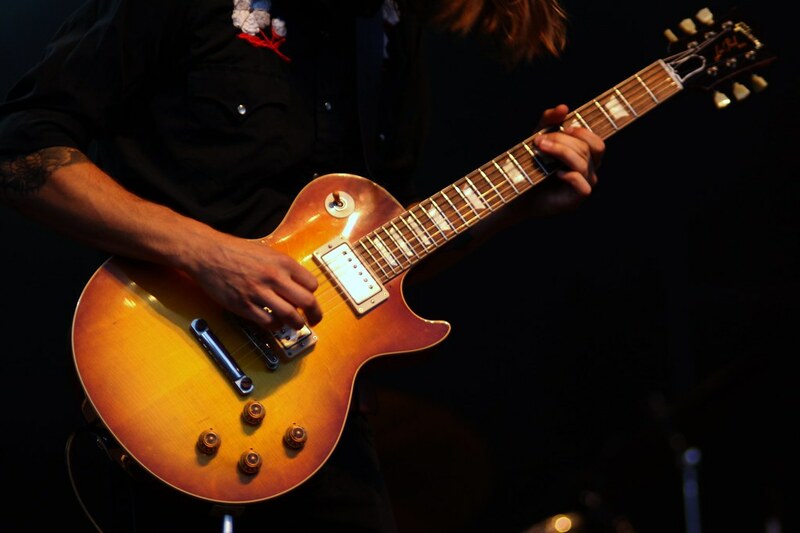 Pedals, vintage Fender and Gibson parts, pickups and more. At right is Bob with a guitar after a re-fret.